Robin Williams, left, and his daughter, Zelda at the premiere of "Happy Feet Two" in Los Angeles in 2011. 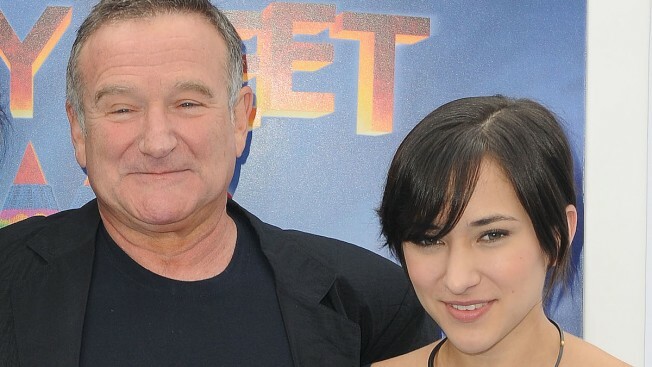 Robin Williams' grieving daughter Zelda Williams is taking a timeout from Twitter and Instagram. Though the 25-year-old actress has received thousands of messages of support, she's also read many unkind comments. "Please report @PimpStory @MrGoosebuster. I'm shaking. I can't. Please. Twitter requires a link and I won't open it. Don't either. Please," Zelda Williams pleaded Tuesday. She then deleted the tweet. The users sent Williams altered photos of her dad, which were supposedly taken after the actor committed suicide. They also called the actress some awful names. "I'm sorry. I should've risen above," Williams tweeted. "Deleting this from my devices for a good long time, maybe forever. Time will tell. Goodbye." "I will be leaving this account for a but while I heal and decide if I'll be deleting it or not. In this difficult time, please try to be respectful of the accounts of myself, my family and my friends. Mining our accounts for photos of dad, or judging me on the number of them is cruel and unnecessary. There are a couple throughout, but the real private moments I shared with him were precious, quiet, and believe it or not, not full of photos or 'selfies.' I shared him with a world where everyone was taking their photo with him, but I was lucky enough to spend time with him without cameras too. That was more than enough, and I'm grateful for what little time I had. My favorite photos of family are framed in my house, not posted on social media, and they'll remain there. They would've wound up on the news or blogs then, and they certainly would now. That's not what I want for our memories together. Thank you for your respect and understanding in this difficult time. Goodbye. Xo." The post was accompanied by an image of a butterfly perched on flowers. In a blog post published Tuesday, Williams called out her haters. "As for those who are sending negativity, know that some small, giggling part of him is sending a flock of pigeons to your house to poop on your car," the actress wrote on Tumblr. "Right after you've had it washed. After all, he loved to laugh, too." Prior to being harassed online, Williams thanked her Twitter followers for donating to St. Jude Children's Research Hospital in memory of her father. "I'm overwhelmed. The charity meant the world to him, as it does to me," she tweeted. "Knowing that so many children will be helped in his honor is all I could've asked for. Thank you, from the bottom of my heart. Thank you." The group also mourned the actor. "His humor brought bright smiles and laughter to our patients and families and his generosity deeply touched the hearts of all who knew him," it said. "He and his family remain in our thoughts and prayers." 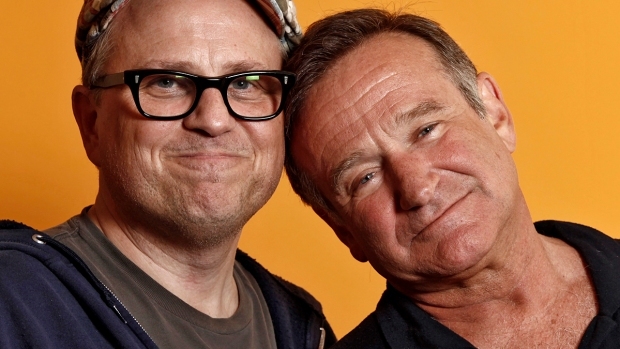 Robin Williams, 63, was found dead in his home Monday. He died of asphyxia due to hanging, Marin County Sheriff's Lt. Keith Boyd said Tuesday. The final cause of death will not be certified for several weeks.